Can I assume we shouldn't use the "no rescan" option if we wish to have two-way synchronization? So for a one-way sync, you don't need to turn on no-rescan on the target since that wouldn't change? 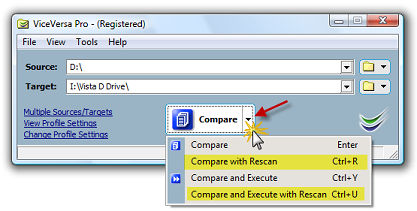 Opposite, if you are doing a one-way replication and you know target does not change outside ViceVersa, do enable no-rescan for target to speed-up source/target comparison.